Join me at The Octopus Literary Salon on February 23rd! I and some fellow Zoetic Press authors will be reading and hanging out all night. Join me for a reading and author talk at The Gallery Bookshop in Mendocino on March 24 at 6:30pm. I'll be reading from Ars Longa, Vita Brevis, discussing all things creative, and signing copies of the novella. Copies will be available for purchase. 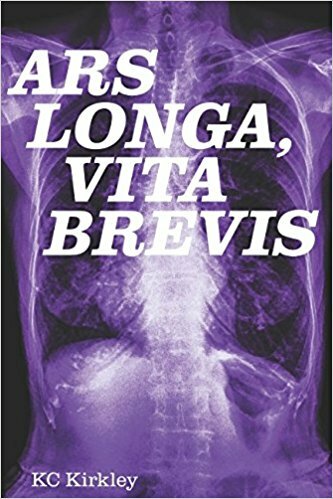 Thanks to the good folks at The Paragon Press and The Paragon Journal, "Ars Longa, Vita Brevis" is now out in the world. I've been surprised and humbled, already, by the number of friends and family who have expressed congratulations and assurances that they are purchasing and reading the thing. And yes, this makes me very nervous. It's a strange sensation after all of the work to create the story and get someone to publish it only to dread the thought of real live readers holding it in their hands. Certainly, some will dislike it, find it vulgar, find it disappointing. I suppose this is inevitable. I suppose some will reconsider their estimation of me in light of this work. All I can say is, "Here I am; take me as you will." I had a wonderful time in Portland. Thank you to The Portland Review and to John and Melinda Baker for their hospitality. I'll put a link up on the Publications page with information about how you can get a copy of story I read, "A Secondhand Love".